Description & Habit: Usually growing 0.3- 1 m (1- 3 ft.), the Cyperus alternifolius may reach 1.5m (5 ft.) in optimal conditions. A lovely accent plant crowned with many dark green radiating leaves like a parasol, it can be grown as a houseplant. Potting & Growing: Plant in rich soil in 8-20l (2- 5 gallon) containers or larger and grow with 2.5- 15 cm (1- 6 in.) of water over the plant’s crown in sun to part shade. ‘Nana’ and ‘Gracilis’ are dwarf cultivars hardy in zones 9- ll. ‘Variegatus’ is another dwarf form with creamy white lengthwise strips along stems and leaves. 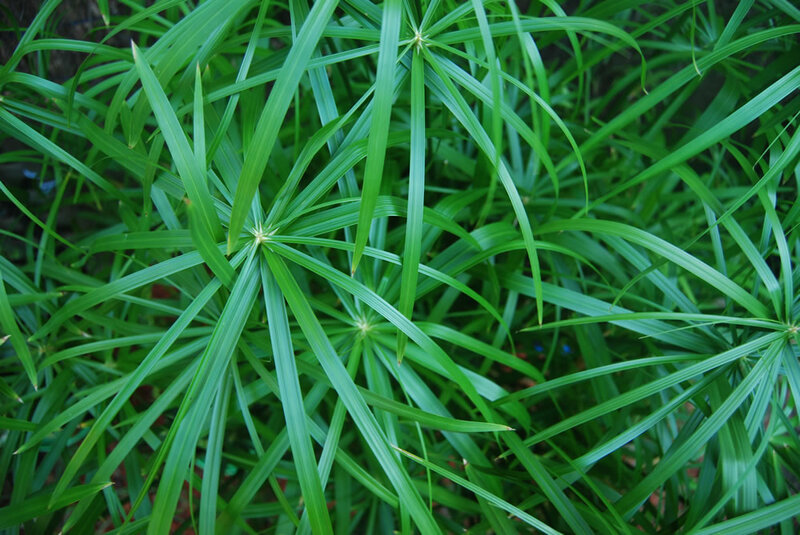 Prune out any fully green stems to prevent the plant’s reverting to nonvariegated form. Propagation: Division and head cuttings.